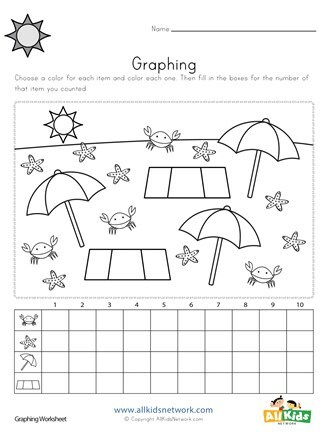 Kids get to practice graphing with a fun summer theme using this worksheet. 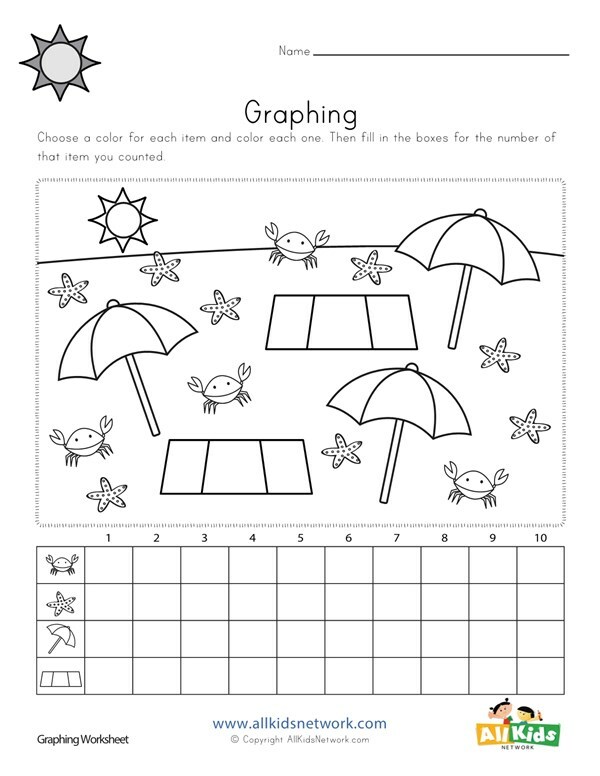 Students are instructed to count the beach blankets, beach umbrellas, starfish and crabs pictured and to fill in the graph. Kids can also color the pictures for some extra added fun!